We promise to create such an invigorating experience you will want you to come back and recommend us to your friends and family. We truly love our job and have learned over the years how to create the best possible experience for each individual. It’s important to our team to make sure you and your group are having a great time. Listed below are 4 promises that we will commit to fulfilling to you as a customer. 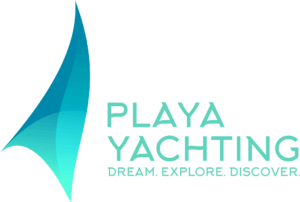 At Playa Yachting, we stay true to our word. The descriptions on our website and in our promotion material are exactly what you will expect. Our yachts, tour durations, the destinations, food and drinks match the experience you will have when you embark on a tour with us. Maintaining professionalism is extremely important to us and is part of creating the best experience for you. We are committed to making sure you receive excellent customer service. Our main goal is to provide a memorable experience so you will want to return and tour with us again. We aim to provide a very friendly and high quality tour. To offer you the best experience, we will work with your budget. Whether you choose our standard or our VIP tours, you will see that the price per person is very reasonable if you compare it to a group going out for a night on the town with dinner and drinks. If you are looking for the perfect customized yacht tour experience, then we have you covered. We offer you a personal tour guide, premium alcohol, exclusive beaches and locations only accesable by boat. Contact us by clicking here and allow us to provide you with the best VIP service.